We picked up bed bugs on a trip to the US. It took a long time to identify what was biting us. Once we did we came across Bed Bug Barrier and purchased the powder, steamer and bed bug barriers for the bed. The bed bugs were in our wooden bed frame so we got a new bed. The DIY video was very informative. Tony was great at responding to our questions. 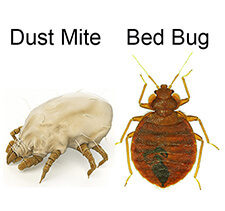 I would certainly recommend these products to help fight against bed bugs. We have not been bitten for about six weeks.